It’s a time of year when many of us ponder securing that perfect job, or at the very least imagine getting out of an imperfect one. 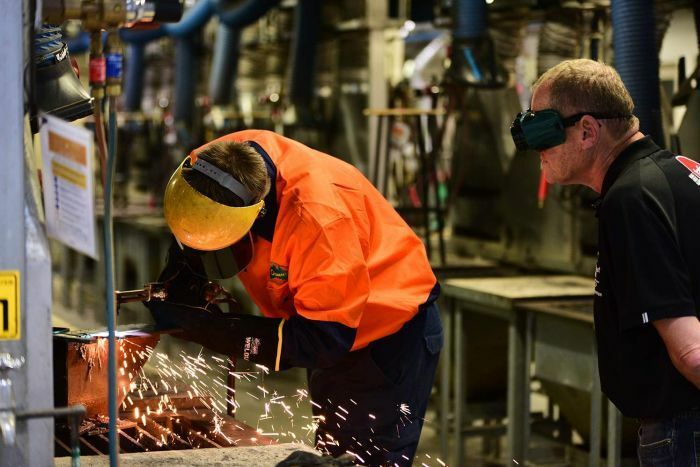 But a growing number of Australians are acting on that urge with a surge in mature-age apprenticeships over the past few years. One of those is 46-year-old Veronica Ford. When the Brisbane mother of four’s youngest child started school, she decided it was time to get back into the workforce. “Not working for 15 years puts you in a bit of a situation where you have to stack shelves and I was getting a bit too old to be doing that sort of stuff,” she said. 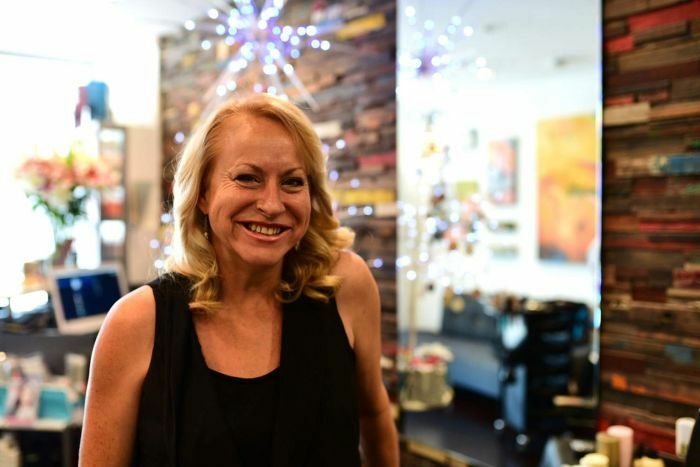 She had always regretted not finishing the hairdressing apprenticeship she had started as a teenager, so she found an inner-Brisbane salon willing to take her on. Ms Ford admitted to being apprehensive about being out of the workforce for so long. “I am a little bit fearful at times whether I can do it or not, but I know I can — it’s just a matter of taking a deep breath,” Ms Ford said. But her employer Peter Tigani said her age was an asset. “Having an older apprentice is a blessing and a real win for me,” Mr Tigani said. Mr Tigani also said he believed as a stay-at-home mum, Ms Ford brought skills to her work that younger apprentices just did not have. “Being able to bring up four kids just shows as a human being she can do lots of things all the time and can keep control of a lot of things going on,” he said. 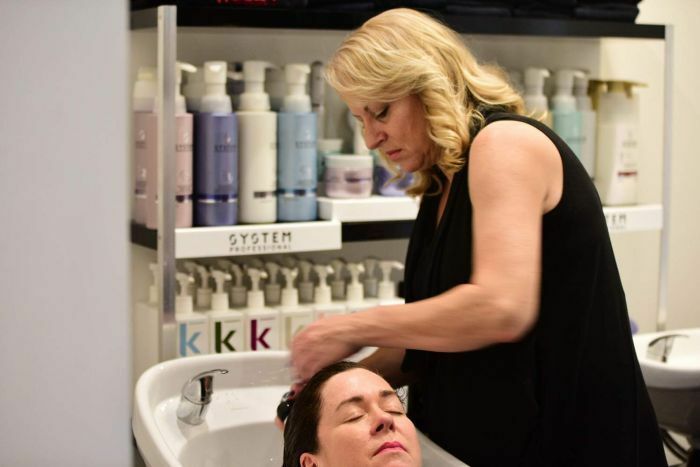 “So in the salon environment she’s all over everything. That is a sentiment being heard across a range of industries. 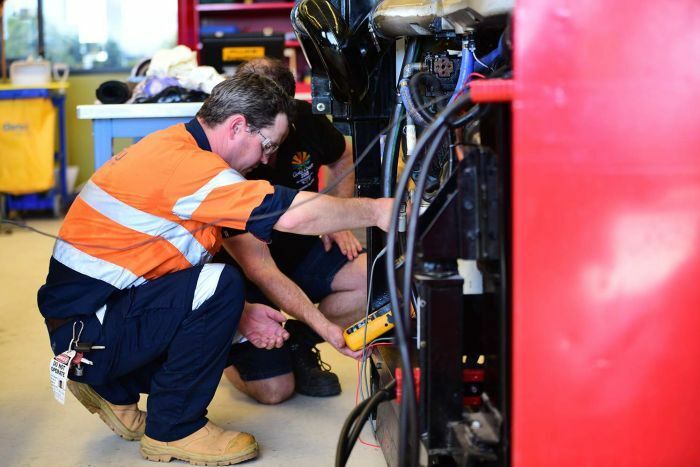 Statistics from the National Centre for Vocational Education Research (NCVER) show adults now make up a big proportion of all apprentices, with 28 per cent in the trades and 45 per cent in the non-trades, compared with 8 per cent and 22 per cent respectively, 20 years ago. TAFE Queensland SkillsTech general manager John Tucker said he had seen that reflected on a state level too. “Sixty per cent of our apprentices are over the age of 20 and if you go up to over 25, you’re looking at about a third of apprentices,” he said. That trend applies across the board, but particularly in the construction, engineering, and automotive sectors. Nathanial Bradford, 34, is halfway through a metal fabrication apprenticeship. He said he was a bit of a jack of all trades, before deciding to knuckle down and choose a specialisation. “Last one was forklift driving for 12 years when suddenly I realised I needed a career path,” he said. “I found that I had a natural knack for engineering with metal fabrication so I thought I’d go for it. He has not looked back, but admitted initially it was difficult to find an employer willing to employ him. “To get into the industry is a bit hard as an adult apprentice — a lot of people are looking for juniors,” Mr Bradford said. He said as an older worker he brought experience to his apprenticeship and that was valuable to employers. “[I bring a] bit of common sense, because if you work in a lot of different dangerous fields beforehand you understand what you should and shouldn’t do to keep yourself safe,” Mr Bradford said. Even as an apprentice, he said he felt like he was a mentor to his younger colleagues. “The younger fellas look up to you and take on board a little bit more what you say because it’s coming from an older person,” he said. 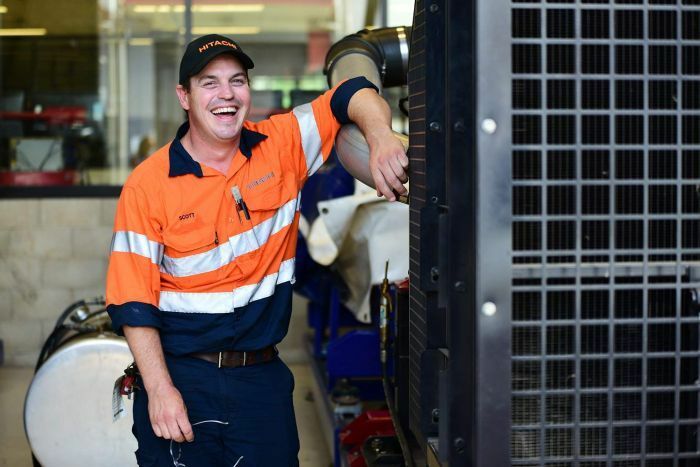 His TAFE teacher, Ronald Dyer, had seen a large increase in older apprentices coming through his workshop. “I find it quite good because a lot of the times they come with skills already,” Mr Dyer said. Mr Dyer said he believed older trainees could be a valuable asset. “What they bring is maturity, because of life experience they are often already disciplined as far as showing up at six or seven o’clock in the morning and working a full day, and those sorts of issues,” Mr Dyer said. “Mostly the adult ones tend to be more respected than a younger guy that’s got to find his feet and get his respect in the workplace. 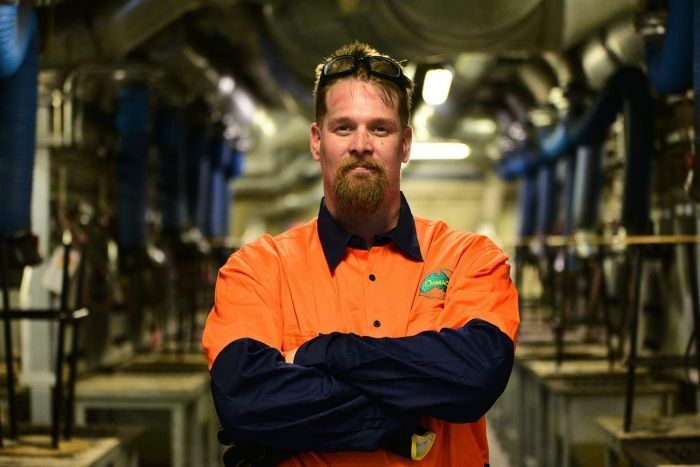 Scott McGuire, 38, said he would not have been ready to take on an apprenticeship straight after leaving high school. “Definitely not, no. I was a little ratbag — I wasn’t ready to settle down into a trade just then,” Mr McGuire laughs. But Mr McGuire is now, and is thriving after one year into his apprenticeship in mobile plant technology. “I’ve always been passionate about engines and mechanical things, so it was just a natural progression to get paid to do what I like,” Mr McGuire said. Previously working as a labourer in the gas fields, he initially struggled to get into his chosen field. “I’ve chased it for years — it was more perseverance in getting someone to put me on as an adult apprentice,” Mr McGuire said. He said he brought maturity to his job, not just in experience but in attitude. “They know I’m going to turn up every day and not be hungover,” he said. Mr Tigani also had advice for employers considering taking on a mature-aged trainee. “Take a chance on an older apprentice because they do have a lot more to offer on a personal level,” Mr Tigani said.